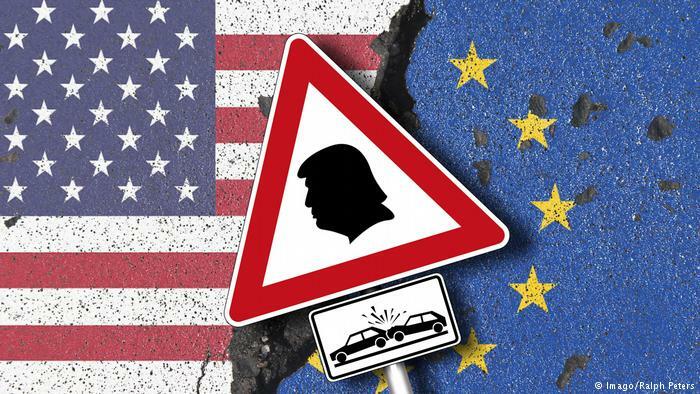 President Trump’s decision to reimpose U.S. sanctions, after pulling-out of the Iran Nuclear Deal (JCPOA) has deepened the divide with the EU. On 07 August 2018, the EU announced that its blocking statute entered into force. As I predicted earlier, as a reaction to the U.S.’s decision to pull-out of the JCPOA, the EU has implemented a blocking statute. Time will tell whether both moves are wise. The consequence of this sad state of affairs is that anyone contemplating to enter the Iranian market, should consider the risks very carefully. On May 8, 2018, President Trump announced his decision to cease the U.S.’ participation in the JCPOA. He orders to begin re-imposing the U.S. nuclear-related sanctions that were lifted to effectuate the JCPOA sanctions relief, following a wind-down period. Further, the President issued National Security Presidential Memorandum-11 directing the U.S. Department of the Treasury and other Departments and Agencies to take the actions necessary to implement his decision. Consistent with the President’s guidance, Departments and Agencies implemented 90-day and 180-day wind-down periods for activities involving Iran that were consistent with the U.S. sanctions relief specified in the JCPOA. To effectuate the wind-down periods, the State Department has issued the necessary statutory sanctions waivers for the duration of the relevant wind-down periods. In addition, the Department of the Treasury’s Office of Foreign Assets Control (OFAC) has revoked, or amended, as appropriate, general and specific licenses issued in connection with the JCPOA. OFAC also issued new authorizations to allow the wind down of transactions and activities that were authorized pursuant to the revoked or amended general and specific licenses. August 6, 2018, marks the final day of the 90-day wind-down period. The President has issued Executive Order (E.O.) of August 6, 2018, “Reimposing Certain Sanctions With Respect to Iran” (the “New Iran E.O.”), which reimposes relevant provisions of five Iran sanctions E.O.s that were revoked or amended by E.O. 13716 of January 16, 2016. The New Iran E.O. is effective at 12:01 a.m. eastern daylight time (EDT) on August 7, 2018, at which time the sanctions subject to the 90-day wind-down period will come into effect pursuant to the New Iran E.O. and, as appropriate, relevant statutory provisions that will no longer be within the scope of the waiver actions taken by the Secretary of State. In addition, certain wind-down general licenses (GLs) previously issued by OFAC expire at 11:59 p.m. EDT on August 6, 2018. For detailed information regarding which GLs expire on August 6 and which sanctions are reimposed on August 7, see FAQ 1.2 of the Frequently Asked Questions Regarding the Re-Imposition of Sanctions Pursuant to the May 8, 2018 National Security Presidential Memorandum Relating to the Join Comprehensive Plan of Action (JCPOA). For information about which sanctions will be reimposed on November 5, 2018, see FAQ 1.3 of the Frequently Asked Questions Regarding the Re-Imposition of Sanctions Pursuant to the May 8, 2018 National Security Presidential Memorandum Relating to the JCPOA. OFAC will publish additional guidance with respect to the end of the 180-day wind-down period no later than November 4, 2018. Both measures are in stark contrast in how to approach Iran. In essence, the U.S. approach is the classic “fire-and-fury,” method. President Trump is putting all his eggs in one basket. The re-imposition of sanctions aims to force Iran to cease its nuclear enrichment efforts, curb its weapons program and end its support of brutal governments or uprisings in the Middle East. In contrast, by updating it’s blocking statute, the EU’s approach, which believes that maintaining the JCPOA is vital to it’s security, the statute seeks to protect European companies from any penalties imposed by the U.S. for continuing to do business with, or in, Iran. The measure threatens companies with penalties if they comply with American sanctions. 1. What is the Blocking Statute? The EU introduced the Blocking Statute in 1996 in response to United States of America (U.S.) extra-territorial sanctions legislation concerning Cuba, Iran and Libya. It constitutes an important achievement of unified EU action against the unlawful effects of extra-territorial legislation of third countries. The Blocking Statute aims at countering the unlawful effects of third-country extra-territorial sanctions on the natural and legal persons specified in its Article 11 (hereinafter referred to as ‘EU operators’). Its main purpose is thus to protect EU operators engaging in lawful international trade and/or movement of capital as well as related commerce activities with third countries in accordance with EU law. The Blocking Statute applies with regard to the extra-territorial legislation mentioned in its Annex (‘listed extra-territorial legislation’), which currently consists of U.S. measures concerning Cuba and Iran. The basic principle of the Blocking Statute is that EU operators shall not comply with the listed extra-territorial legislation, or any decision, ruling or award based thereon, given that the EU does not recognise its applicability to/effects towards EU operators (Article 5, paragraph 1). The Blocking Statute provides also that EU operators shall also inform the European Commission within 30 days of any events arising from listed extra-territorial legislation or actions based thereon or resulting thereof, that affect, directly or indirectly, their economic or financial interests (Article 2, paragraph 1). They may do so either directly (3) or through the competent authorities of the Member States. The European Commission informs the competent authorities of the Member State where the operator providing information is a resident or is incorporated about such incoming information (Article 2, paragraph 3). Concerning legal persons, this obligation applies the directors, managers and other persons with management responsibilities. 2. To whom does the Blocking Statute apply? any other natural person within the Union, including its territorial waters and air space and in any aircraft or on any vessel under the jurisdiction or control of a Member State, acting in a professional capacity. Concerning the situation of branches or subsidiaries, please see question 21. 3. As of when does the updated Blocking Statute apply? The update to the Blocking Statute applies to all EU operators as defined above, from the date of its entry into force, ie 7 August 2018. In the case of contractual obligations, it applies regardless whether they were entered into prior to the above date of entry into force of the updated Blocking Statute. 4. How does the Blocking Statute protect EU operators? Nullifies the effect in the EU of any foreign decision, including court rulings or arbitration awards, based on the listed extra-territorial legislation or the acts and provisions adopted pursuant to them (Article 4). This means that no decision, whether administrative, judicial, arbitral or of any other nature, taken by a third country authority and based on the provisions listed in the Annex to the Blocking Statute or on acts which develop or implement those provisions, will be recognised in the EU. Similarly, no decision requiring, for instance, seizure or enforcement of any economic penalty against an EU operator based on the aforementioned acts will be executed in the EU. This shields EU operators from the effects of such decisions in the Union. National authorities, including national jurisdictions and arbiters, shall apply and implement the Blocking Statute, and notably ensure full compliance with the above-mentioned obligation directly stemming from it. Allows EU operators to recover damages arising from the application of the listed extra-territorial legislation from the natural or legal persons or entities causing them (Article 6). This means that EU operators are legally empowered to seek compensation for the losses they have suffered from whoever has caused them. For further details about this possibility, see questions 12 to 15. Allows EU operators to request an authorisation to comply with the listed extra-territorial legislation, if not doing so would cause serious harm to their interests or the interests of the EU (Article 5, paragraph 2). This means that in specific and duly motivated circumstances and as a derogation to the rule, EU operators may be authorised by the Commission to act in accordance with the listed extra-territorial legislation. For further details about this possibility, see questions 16 to 20. 5. Does the Blocking Statute oblige EU operators to do business with Iran or Cuba? How are they expected to position themselves between the listed extra-territorial legislation and the Blocking Statute? EU operators are free to conduct their business as they see fit in accordance with EU law and national applicable laws. This means that they are free to choose whether to start working, continue, or cease business operations in Iran or Cuba, and whether to engage or not in an economic sector on the basis of their assessment of the economic situation. The purpose of the Blocking Statute is exactly to ensure that that such business decisions remain free, i.e., are not forced upon EU operators by the listed extra-territorial legislation, which the Union law does not recognise as applicable to them. 6. Why is the Blocking Statute being updated? The update was triggered by the U.S.’ unilateral decision on 8 May 2018 to re-impose extra-territorial sanctions against Iran simultaneously with its withdrawal from the Joint Comprehensive Plan of Action (JCPOA), signed in 2015 between Iran, on the one hand, and China, France, Russia, the United Kingdom, Germany, the U.S. and the European Union, on the other. The lifting of certain Iran-related sanctions is an essential component of the agreement. The re-imposition by the U.S. of extra-territorial sanctions could potentially affect EU operators doing legitimate business with Iran. Such legislation will be re-imposed as of 7 August 2018 and 5 November 2018. 7. What has changed in the Blocking Statute? The European Commission has updated the Annex to the Blocking Statute to expand the scope of the listed extra-territorial legislation to which the protective measures in the Blocking Statute apply. The Annex now includes the extra-territorial US sanctions that were either lifted or waived by U.S. under the JCPOA and which have been or will be re-imposed. It is important to note that this also includes any actions based thereon or resulting therefrom. The ‘Iran Transactions and Sanctions Regulations’. The provisions of the above acts and regulations having unlawful extra-territorial effects have been summarised in the Annex for ease of reference. For a complete overview, it is necessary to consult the relevant provisions. 8. Has the Blocking Statute been used so far? Since 1996, the Blocking Statute has mainly applied to extra-territorial sanctions of the U.S. related to Cuba. In 1998, the Union and the U.S. signed a Memorandum of Understanding by which the U.S. administration suspended the application of certain provisions of the Cuba extra-territorial sanctions ‘as long as the EU and other allies continue their stepped up efforts to promote democracy in Cuba’. 9. How else can the Blocking Statute help EU operators? The Blocking Statute applies to all EU operators, regardless of their size and the field they are active in. In addition to the protective measures listed in question 4, the Blocking Statute is also helpful as a tool to identify the extra-territorial legislation of third countries and its main provisions, whose application can have unlawful effects on EU operators. Those provisions are summarised in the Annex. This can prove particularly helpful for small and medium enterprises (SMEs), given that they have more limited resources to ascertain which listed extra-territorial legislation might have an impact on their activities and, for instance, be in a position to provide the Commission with the relevant information pursuant to Article 2, paragraph 1 (see question 1). 10. Who is responsible for the implementation of the Blocking Statute? Are Member States obliged to prosecute any possible breaches of the Blocking Statute? Member States’ authorities are responsible for the implementation of the Blocking Statute, including for the adoption and implementation in their respective legal orders of penalties for possible breaches. Such penalties are laid down in national legislation and may hence vary by Member State. However, in spite of their differences, all the penalties must be effective, proportionate and dissuasive (Article 9). It is also for Member States to ensure that the Blocking Statute regime is enforced, including through the application of those penalties, where needed and appropriate, in accordance with their national procedures. 11. What is the role of the European Commission? Further procedural roles are mentioned in Article 7(a), (d), (e) and Article 10. Moreover, in its capacity as Guardian of the Treaties, the Commission oversees the correct and uniform implementation of EU law, under the control of the European Court of Justice. 12. What kind of damages can EU operators recover? According to Article 6, EU operators can recover ‘any damages, including legal costs, caused by the application of the laws specified in its Annex or by actions based thereon or resulting therefrom’. The scope of damages that can be claimed is thus very broad, in line with the protective aim of the Blocking Statute. 13. From whom can EU operators claim compensation for those damages? Can EU operators sue the U.S. authorities in order to recover damages? EU operators can recover damages from ‘the natural or legal person or any other entity causing the damages or from any person acting on its behalf or intermediary’. Who exactly will be the defendant in each case will depend on the specifics of the case, on the kind of damage caused, the person or entity actually causing it, the possible shared responsibility in causing such damage, etc. Deciding on this issue is a matter for the competent court (see question 14). It is not possible to determine ex ante and with general character from whom damages will be claimed. However, the wording of Article 6 is very broad, in that it includes not only the responsible persons and entities, but also their representatives, thus allowing a broader scope of protection to EU operators. 14. How can damages be claimed? Will the Commission or national authorities intervene in favour of EU operators? According to the third paragraph of Article 6, damages can be recovered before the courts. Which court will be competent will depend on the specifics of the case, on the applicable rules on jurisdiction, the national civil procedure etc. As general rule, the third paragraph of Article 6 refers to the rules enshrined in the Brussels Convention on jurisdiction and the enforcement of judgments in civil and commercial matters (7) (‘Brussels Convention’). Moreover, the last paragraph of Article 6 specifies that recovery could take the form of seizure and sale of assets which the natural or legal person or entity causing the damages, or its intermediaries, or any person acting on its behalf, holds in the Union, including shares that they may hold in companies incorporated within the Union. Recovery will be without prejudice to other means available and in accordance with applicable law. 15. What does the Brussels Convention foresee? The Blocking Statute was adopted in 1996. The reference it provides for, in its Article 6, to the Brussels Convention, shall now be read as a reference to Regulation (EU) No 1215/2012 of the European Parliament and of the Council of 12 December 2012 on jurisdiction and the recognition and enforcement of judgments in civil and commercial matters (8). Under its Article 68, this Regulation, as between the Member States, supersedes the 1968 Brussels Convention, except as regards the territories of the Member States which fall within the territorial scope of that Convention and which are excluded from the Regulation pursuant to Article 355 of the TFEU. This Regulation applies in civil and commercial matters whatever the nature of the court or tribunal, but it does not extend to the liability of the State for acts and omissions in the exercise of State authority. 16. When can EU operators request an authorisation under Article 5, second paragraph of the Blocking Statute? Paragraph 2 of Article 5 of the Blocking Statute allows EU operators to ask for an authorisation to comply with the listed extra-territorial legislation if not doing so would seriously damage their interests or those of the Union. While the Blocking Statute does not determine what ‘serious damage’ means, it is clear that not every nuisance or damage suffered by EU operators will entitle them to obtain an authorisation. This is a consequence of the fact that the Union does not accept that the listed extra-territorial legislation should govern the conduct of EU operators in its territory, and the possibility to do so remains an exception. As explained in recital 9 of Commission Implementing Regulation (EU) 2018/1101 (9), authorisation requests are appropriate when the behaviour that the applicant wishes to adopt is based on, or determined by, the listed extra-territorial legislation. It will be for the applicant to determine whether this is the case. The authorisation procedure should not be used in order for EU operators to seek so-called ‘letters of comfort’ from the Commission or confirmation that their business decisions are in line with the Blocking Statute. For further details about business decisions in the context of the Blocking Statute, see Question 5. 17. What do EU operators need to prove in order to obtain an authorisation? According to Article 3(2) and 3(3) of Implementing Regulation (EU) 2018/1101, EU operators requesting the authorisation must as a minimum explain which provisions of the listed extra-territorial legislation they would need to comply with and what exactly the behaviour is they would seek to engage in. It is up to them also to demonstrate why and in which way not complying with the listed extra-territorial legislation would cause serious damage to their interests or the interests of the Union, which would justify the need to derogate in specific and duly motivated circumstances to the rule imposed by the Blocking Statute. Appropriate evidence must be provided. It will depend on the specifics of each case what is appropriate. However, the Commission will consider, based on the experience gained, whether it is appropriate to develop templates or check-lists for submitting evidence to support the most frequently used justifications. The request for authorisation can be submitted individually or by several EU operators jointly, provided that their interests are sufficiently homogenous. Group submissions, however, need to enable a case by case assessment by the Commission whether a serious damage would occur to the individual interests of each applicant or the Union by not complying with the listed extra-territorial legislation. 18. Who can authorise EU operators to comply with the listed extra-territorial legislation? How are Member States involved? According to Article 5, second paragraph, Article 7(b) and Article 8, the Commission shall grant such authorisations assisted by the Committee on Extra-territorial Legislation. The authorisations shall be granted on the basis of criteria established the same way. Those criteria are laid down in the Implementing Regulation (EU) 2018/1101. The Commission will maintain the criteria under review. If, based on the experience gained in handling requests for authorisation, the Commission considers that amendments are necessary, it will take the appropriate measures. The Committee on Extra-territorial Legislation is composed of representatives of every Member State and assists the Commission in complying with its tasks related to authorisations through the procedure known as ‘comitology’. According to Article 3(5) of Implementing Regulation (EU) 2018/1101, the Commission shall inform the Committee on Extra-territorial Legislation as soon as it receives an application for authorisation. 19. How can EU operators apply for an authorisation and how long will it take to obtain a reply from the European Commission? Applications for authorisations should be submitted to the Commission in writing, either by post (European Commission, Service for Foreign Policy Instruments EEAS 07/99, 1049 Brussels, Belgium) or by e-mail (EC-AUTHORISATIONS-BLOCKING-REG@ec.europa.eu). While the Commission will endeavour to process requests and reply to the applicant as swiftly as possible, the time needed to do so will depend on several factors, such as the complexity of the case, the completeness of the application and evidence provided, the applicant’s timely reaction to the Commission’s additional requests, the volume of applications received, the time needed by the Committee on Extra-territorial Legislation to give its opinion on the case, or the need for translations. 20. What are the effects of the authorisation? The request for an authorisation does not have suspensive effect. The authorisation in the form of a Commission Implementing Decision becomes effective as of the date when it is notified to the applicant. In the meanwhile, EU operators are under obligation to apply the Blocking Statute. 21. What is the situation of EU subsidiaries of U.S. companies and subsidiaries of EU companies in the U.S.? When EU subsidiaries of U.S. companies are formed in accordance with the law of a Member State and have their registered office, central administration or principal place of business within the Union, they are considered EU operators. This implies that they enjoy all the rights and are subject to all the obligations under Union law, including the Blocking Statute. Branches of U.S. companies in the Union do not fall under the previous paragraph as they do not have distinct legal personality from their parent company. They are not considered EU operators. Therefore, they are not subject to the Blocking Statute. Subsidiaries of EU companies in the U.S. are subject to the law under which they are incorporated, which is generally that of the U.S. Therefore, they are not considered to be EU operators and are not subject to the Blocking Statue. Nevertheless, their parent company incorporated in the Union is an EU operator and, as such, it is subject to the provisions of the Blocking Statute. 22. Are the EU nationals residents outside of the EU, including in the US, subject to the Blocking Statute? Yes, a national of a Member State established outside the Union remains subject to the Blocking Statute (see question 2). 23. Can EU operators request a license from the U.S. in order to be exempt from the application of the listed extra-territorial sanctions? No. Requesting from the U.S. authorities an individual license granting a derogation/exemption from the listed extra-territorial legislation would amount to complying with the latter. Indeed, this would necessarily imply recognising the U.S.’ jurisdiction over EU operators which should be subject to the jurisdiction of the EU/Member States. EU operators may, nevertheless, request the Commission to authorise them to apply for such a license with the U.S. authorities, pursuant to Article 5, second paragraph of the Blocking Statute. However, the Commission does not regard as compliance with the listed extra-territorial legislation the simple pursuit of conversations with the U.S. authorities in order for EU operators to ascertain its exact extent, how it might impact on them and whether not complying with it might entail serious damage on their interests in the sense of Article 5, second paragraph. Such conversations could precede the EU operators’ request of an authorisation to the Commission, in accordance with the aforementioned Article, but would not require an authorisation in order to be carried out. I predict that both approaches will not work. Notwithstanding the futility of torpedoing the JCPOA, albeit an imperfect agreement, the arrangement is still working, so why break something which is still working? It’s questionable whether the U.S. fire-and-fury method will work. If we only stick to global trade issues, the post-JCPOA U.S. sanctions lack coherent international support. Although the U.S. has stated it’s aim to garner support for the latest round of sanctions, this has fallen on deaf ears. In effect it resembles a coalition of the unwilling. This might change if and when Iran itself would decide to withdraw from the JCPOA. The aggressive approach to enforce U.S. sanctions, in effect forces companies to choose between the U.S. and the EU. From a commercial perspective, many companies will choose for the former, as the exclusion from the lucrative U.S. market is too costly. However, I still have to see to what extent U.S. sanctions will affect Chinese state-owned companies who can easily insulated themselves from the intrusive U.S. extra-territorial sanctions. Cartoon is drawn by Nath (1970), who is an Indian senior cartoonist working for Indian National Herald, Khaleej Times of U.A.E. The EU’s approach will also probably fail. The blocking statute, originally passed in 1996 to protect European companies against U.S. penalties imposed for doing business in Cuba, Libya and Iran — has a poor record. I’m not aware of any prosecution ensuing from this legislation. In regard to Iran, given that EU sanctions were closely aligned with those of the U.S., the statute was largely ignored. For years, the U.S. largely ignored European investments in Cuba to avoid friction. Furthermore, it’s unclear why the European Commission and relevant member states did not activate the statute in highly sensational U.S. sanctions enforcement cases. Finally, it’s questionable whether the EU can effectively prosecute companies for violating the statute. This is a murky area, and potentially controversial. But most importantly it’s the wrong instrument to fix the standoff with the current U.S. administration. The current problems are of a political nature, which need a political solution. This is especially true if we wish not to repeat the mistakes of the Siberian Pipeline incident. This is another example of the widening trans-Atlantic divide. The U.S. decision to leave the JCPOA and the EU’s decision to update the blocking statute, is the latest topic to bedevil US-EU relations. This now includes disputes regarding the role and integrity of international organizations, multilateralism, NATO, relations with Russia and efforts to defuse tensions over trade. Most importantly, it’s another self-inflicted wound by Western leaders unable to project unity and leadership in a troubled region. Be the first to comment on "U.S. Renews Iran Sanctions: Divide with Allies Deepens as EU updates Blocking Statute"